The International Commission on Missing Persons (ICMP) issued a comprehensive Report from its conference on the issue of missing persons “The Missing: An Agenda for the Future”. The report provides an overview of the issue of missing persons globally and highlights recommendations made by the conference delegates. The ICMP conference was the first of its kind and it gathered together more than 200 prominent policymakers, human rights activist, scientists, academia, journalists, representatives of victim and survivor groups from Libya, Mexico, Thailand, Bosnia and Herzegovina, United States of America, Syria, Croatia, Iraq, Serbia and other countries to discuss missing persons cases from all causes. The International Commission on Missing Persons (ICMP) expresses its deep concern over the fact that more than three weeks have passed since 276 Nigerian students were abducted on 14 April 2014 by a militant group in this country. ICMP is therefore calling on the Nigerian authorities to immediately take effective measures to remedy the situation by ending this ongoing crime against humanity. 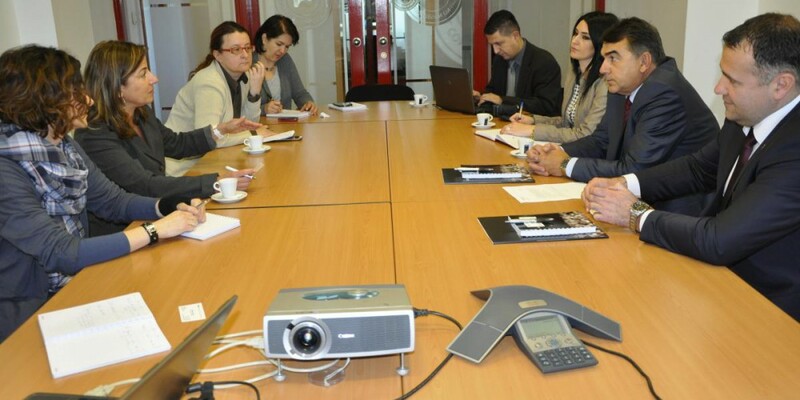 Meeting of ICMP Director General and BiH Chief Prosecutor in ICMP's HQ. The Chief Prosecutor of the Prosecutor’s Office of BiH Mr. Goran Salihović toured the headquarters and DNA laboratory of the International Commission on Missing Persons (ICMP) in Sarajevo today. Mr. Salihović and ICMP’s Director-General Ms. Kathryne Bomberger reviewed the cooperation between the two institutions as well as the general progress and challenges in the process to locate and identify persons missing from armed conflicts in Bosnia and Herzegovina in the 1990’s. Mr. Salihović was briefed on ICMP’s assistance to governments in the Western Balkans and worldwide in accounting for persons missing from armed conflicts, natural disasters, human rights violations and other causes. Accompanied by Ms. Bomberger, Mr. Salihović also toured ICMP’s main DNA laboratory where he was introduced to the scientific techniques of DNA identification used by ICMP to account for more than 17,500 persons in the Western Balkans, of which 14,500 were missing persons relevant to BiH.